This post was sponsored by Yuggler. All opinions are 100% my own. Now that my daughter is a pro at the park I love taking her to different parks. I don't want her to get used to just one park so I always research and ask around at my daughter's play group to get ideas of different places and activities to take her to. When my husband is off we will just get in the car and drive over to parks in different towns that are 15, 20 and even 30 minutes away or more. I don't drive myself so when my husband is at home I tend to stay close to home or go to places that are a few stops away on public transportation. I started running out of new places to take my daughter so when I heard about the new Yuggler app I was super impressed. 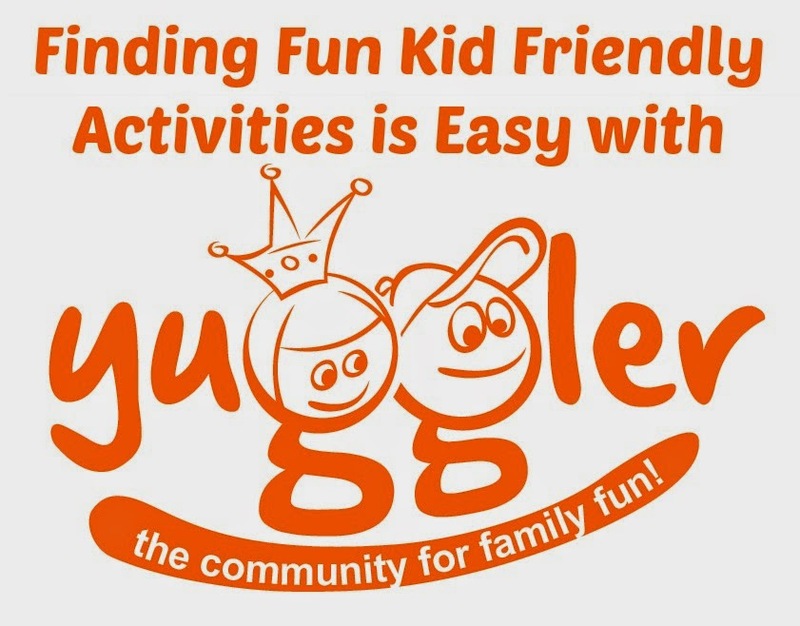 Yuggler is a great way to find kid-friendly places and activities in your area. I love that the activities and places to go to are entered by other parents just like me. 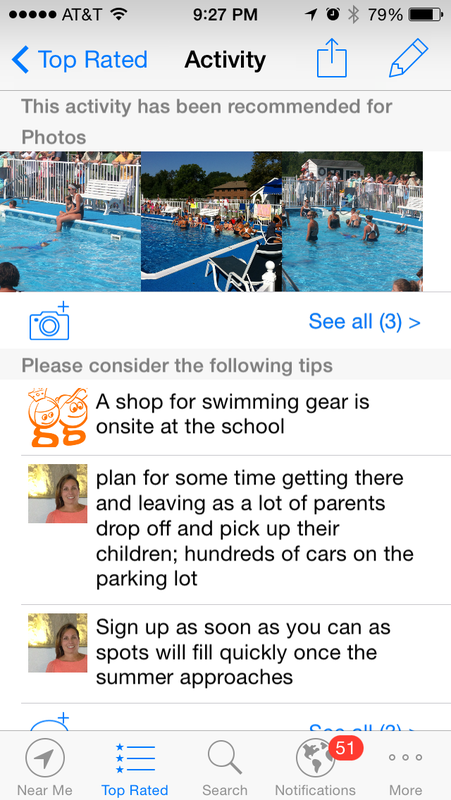 They can share tips, add comments, pictures and even give a star rating to the activity they added. Other parents that have knowledge about or have visited the activity or place can also add to the activity too. It is easy to find just the right activity when you get to customize your search that thoroughly. With just my first search I found an awesome park that was just a couple of miles away. I have lived around the same area since I was 14 and didn't even know this park existed until I tried the Yuggler app. One of the best times I love using Yuggler is when we have extra time after doing some errands. I love shopping in areas outside of my neighborhood so when we get the extra time we explore the area with things my daughter can enjoy using the Yuggler App. If you have kids or even want to find fun things for yourself to do check out the Yuggler App. As a parent it has really saved me time and at the same time letting my daughter experience things she probably wouldn't have. Click the link to download the free Yuggler App for the iPhone or iPad. I love this! Thank you so much for posting this. We moved to a new area and I don't know anything around us. So this is great! This is a great app! I love that you can find so many activities by so many search criteria. That is great, its sounds a lot like Yelp. What a great resource! I LOVE this! Its a great way to explore new activities so my kids wont get bored with our normal hangouts. This is great! I could totally use this. I like to find new and fun things to do with my kids! What a neat app for parents! I wish it was around when we first moved to our area so I could have found the best parks for toddlers. This is a great resource!! What a fabulous resource! Thanks for sharing! This is awesome! I am always looking for fun activities for my daughter. I love this! My son and I really need an app like this. Thanks for telling us about it! What a cool app. Great for when the kids are stir crazy on holiday break! Now that is a really great resource. I can see it coming in handy when traveling too. I think my family could get alot of use out of this. They are always looking for stuff to do locally. The Amazing Magical Zhus Pets Meet-Up! Hoodsbee - The Cutest Hoodie Ever!